Situated in the heart of Zululand in KwaZulu-Natal, Mkuze Falls Private Game Reserve is one of only two private game reserves in the region where visitors can view the Big 5 of Africa’s wildlife. 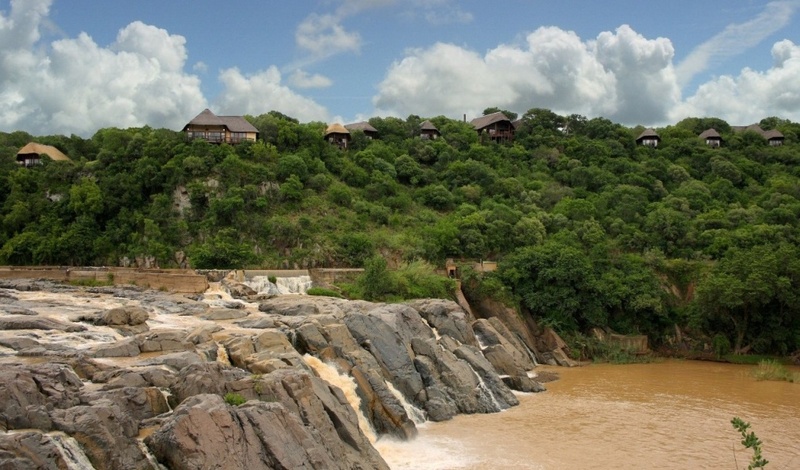 Mkuze Falls Lodge has a magnificent position overlooking the Mkuze Waterfall, and accommodates guests in thatched chalets providing wonderful views of the river, the waterfall and the surrounding hills. A romantic safari suite affords extra luxury for honeymooners and discerning guests. This suite has a small, equipped kitchen, a secluded outside shower and splash pool, and an outside terrace with a unique view over the river. Participate in open-vehicle safaris led by experienced field guides and rangers. Game and bird walks are also on offer, and these bring the detail of the bush alive. The unique ecosystems of riverine, wetland, lowveld bushveld and montane grassland support a diversity of animals and birds. LAST MINUTE SPECIAL OFFER: R1865-00 per person sharing per night when you book within 14 days of travel, inclusive of accommodation in a luxury chalet, all meals, teas and snacks and two guided game drives daily. Subject to availability and booking within 14 days of travel, and valid for travel from December 2018 - November 2019. Mkuze Falls Game Lodge has an air-conditioned conference room accommodating 18 delegates.